Sunday’s shooting, crash and standoff on Interstate-71, that ended near the Ohio 13, exit had a familiar ring to it. In August 2002, I was a reporter at the Mansfield News Journal. I was living near Medina and was headed to work about 6:30 or 7 a.m. that morning, via I-71. As I approached Ashland, my cell phone rang. It was someone in the News Journal newsroom, probably Dan Kopp, who let me in on a developing story. What he knew was that there was a standoff on northbound I-71 and that traffic was stopped. What we learned later was that a Columbus-area man, fired a couple weeks earlier by the Columbus Police Department, shot and killed his wife in the Dublin, Ohio area and proceeded north on Interstate 71. 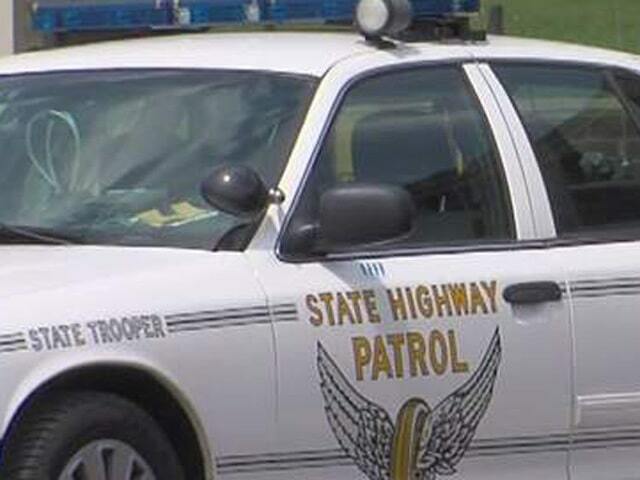 The man — Hernando Harton — was involved in another shooting incident at the I-71/Ohio 95 exit in Morrow County, where he stole a police vehicle, and continued north on I-71 with other officers in pursuit. The chase ended just a couple miles south of the I-71/Ohio 250 exit. That was where a standoff ensued for hours. At this time, all we knew was there was an incident near the northbound rest area on I-71 … nothing else. There were two rest areas just south of the Ohio 250 exit at that time, one on each side of the highway. Both have since been removed. Anyway, I parked at the southbound rest area, crossed I-71, traversed the median, and started to walk south, along I-71 north, to the rest area on that side of the road to see what was happening. All traffic northbound had been stopped maybe 30 minutes before I arrived. There was no doubt I was the first news reporter on the scene. I still didn’t know what was going on, but I could sense something out of the ordinary was happening. It is an eerie feeling walking in the middle of a major, four-lane highway — in the middle of a rush hour — and there is not a vehicle in sight. I knew that there was some type of standoff. I didn’t know if it was over. So, I was walking upright, purposely making myself visible to law enforcement officers and sharpshooters I assumed were in the area. I couldn’t see them, but I wanted them to see me. I was probably a bit reckless as I approached the exit ramp of the northbound rest area, adjacent to a crashed, but not seriously damaged, SUV on the highway. My secondary goal was to find out what had happened and to write a story for the News Journal. My primary goal was to not get shot — by the suspect nor law enforcement. I hit the deck, hard, and army-crawled behind a concrete trash container. I had never moved so fast in my life. Next thing I knew, three members of law enforcement, dressed in black, who were either hidden in that rest area or in the woods next to where I had walked through, picked me up by my arms and carried/dragged me into the rest area to a building with restrooms, vending machines, etc., where they unceremoniously dumped me on the ground … and chewed me out. In hindsight, they treated me quite well, considering they could have shot me .. having no idea who I was nor what I was doing. But when I told them how I had gotten there, and what I was doing, they left me alone in that building and went back to their hiding places. I had my cellphone with me, so I called the News Journal newsroom to update them as to what was going on. At that time, our news editor, Carl Hunnell, was guesting on a local radio show. He called me a couple times and I was giving live updates on the radio as to the situation. I was the only reporter with a birds-eye view of the situation. Anyway, about two hours later, with not much happening at the scene, two or three state troopers came and got me, and escorted me about 150 yards to the site where news reporters and TV news crews from all over the state had gathered. It may be my imagination, but I thought I heard some muttering about who I was and a little applause as I was escorted through the other reporters with a trooper holding each one of my arms. I don’t know who he was, but one TV news crew did try to interview me. I didn’t cooperate. About an hour later, we heard gunshots, from the area where I had been removed from. The suspect was wounded in the shootout. News Journal reporter Joel Moroney and photographer Jason Molyet were at the scene when the troopers released me. And boy did we have a story to tell. Moroney wrote a fantastic news story, Molyet had some fantastic pictures — that no one else had, because he had followed my route to the crime scene and was the only photographer in that area. I wrote a column, a first-person account of my day. It was the most adrenaline-fueled story that I’ve been a part of. And that’s what I was thinking about Sunday as I heard about the standoff on I-71.